Smart Blinds and Floorings founded Sweet Home Blinds in 1999 with a commitment to providing the most affordable and quality window covering services. Originally on Perkins Ave, the business moved after several years to Lexington Avenue in New York City. Our flooring partner Art Masonry bought the company into different level in 2000. We start to work together under Smart Blinds and Floorings. There it has grown, and we also moved to Toronto, Canada in 2010. 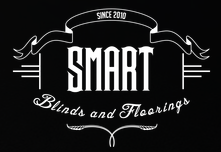 With so many area businesses coming and going over the last 14 years, Smart Blinds and Floorings has built strong relationships with local residents due to its perseverance and reliable quality service.